What to See & Do! 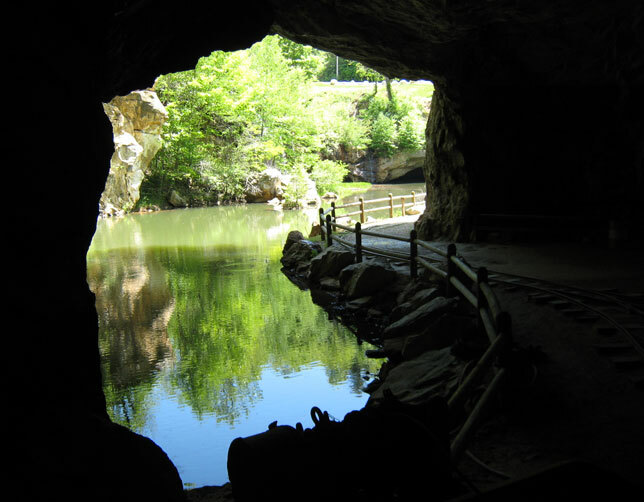 Emerald Village is a group of gem, mining, and historical attractions nestled deep in the Blue Ridge Mountains of Western North Carolina, just off the Blue Ridge Parkway and within an hour's drive of Asheville, Boone, and Blowing Rock. Located in a spectacular mountain setting, Emerald Village is home to 12 historic REAL mines and has been featured on National Geographic TV, the Travel Channel, and many other TV programs and Magazines. Come see why we say "Real Mines! Real Fun!" We have a lot to see and do! Be sure to bring your camera and take pictures to share back home. People come from all over the world to visit Emerald Village! 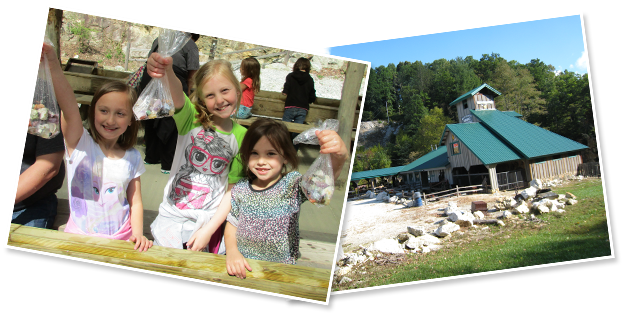 Experience the thrill of discovery at The Gemstone Mine, and choose from a variety of gem buckets available. Keep everything you find! Have your special finds made into beautiful jewelry for a very special souvenir. Emerald Village is Pet Friendly! We accept all major Credit/Debit cards! Tour the Discovery Mill building, with free displays including a model railroad display, native wildlife, black-light minerals, antique tool collection, and the impressive Antique Music Museum. Browse our 2 unique gift shops featuring items from all around the world, grab a quick snack, or bring a picnic and enjoy our indoor or outdoor picnic areas. Try Gold Panning at Emerald Village and experience the fun of finding a flash of gold in the pan! Those looking for rugged adventure can dig for Emeralds in the dumps of the world famous Crabtree Emerald Mine OR dig for minerals on the Historic McKinney Mine dumps at Emerald Village, where over 100 different rocks, minerals and gems have been found! For a unique after-dark experience, take the Black Light Mine Tour on selected special nights and see the underground mine magically light up with special ultraviolet lamps. Emerald Village is a place like no other, with so much to see and do! Please visit us soon. We promise a "Gem of A Day"!